9 + = twelve Required Please enter the correct value. Ahead of creating its own ecosystem and no longer relying on the Ethereum network, TRON (TRX) prices are down 5.14%. Founder Justin Sun plans to launch the official mainnet on May 31, and it will undergo testing schedules from May 31 until June 24, according to AMBCrypto.com. 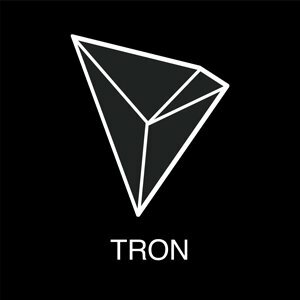 Even though this is a major milestone for Sun and TRON, the price dip is most likely due to an overall frothy cryptocurrency market. After getting close to passing $10,000 at the start of May, Bitcoin prices are trading at $7,300. With the largest market cap, other crypto prices tend to fall if Bitcoin prices drop. Here is a recap of the top five cryptocurrencies by market cap as of 1:30 p.m. EDT. One reason crypto prices can drop so drastically is because of the uncertainty and confusion on how the government plans to regulate cryptocurrencies. Prices can drop 10% in the blink of an eye if a government official has a negative comment. Fortunately, there could be more clarity about the U.S. market after June 13. Wikipedia founder Jimmy Wales warned that the global cryptocurrency markets are a bit overheated at the cryptocurrency conference Blockshow. "Right now, we are in a bubble. The crypto world is absolutely, definitely in a bubble. I don't think there's many people who would deny that." Ripple continues to generate headlines in the cryptocurrency space. The Kuwait Finance House (KFH) joined the enterprise blockchain network from Ripple known as "RippleNet." Kuwait becomes the first Arab nation to join the network for international remittance payments. Finally, a maker of mobile games (Gumi) in Japan has launched a $30 million investment fund that will focus on blockchain and cryptocurrencies, according to com. Gumi has already invested in a company creating "stablecoins," as well as a potential competitor to the gaming-distribution platform Steam.